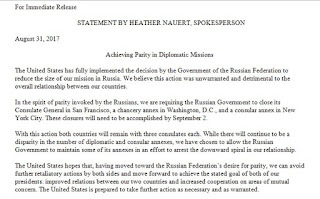 Following Washington's move, Moscow express concern about 'the escalation of tensions' between the two countries. 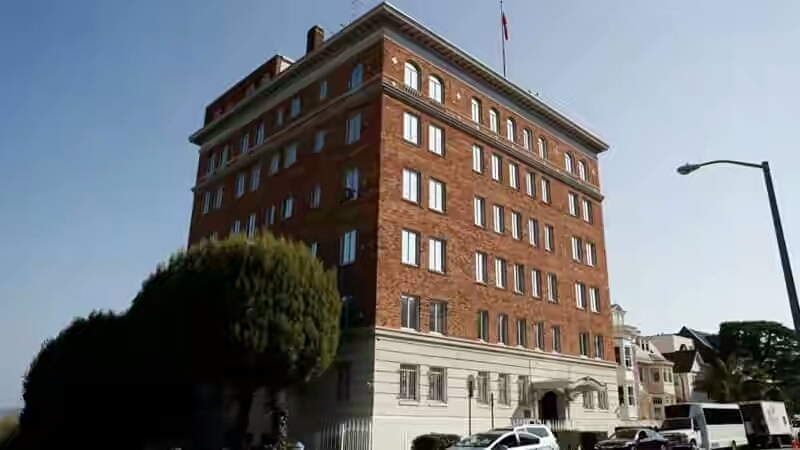 The United States has told Russia to close its consulate in San Francisco, in retaliation for Moscow's demands that the size of the US mission in Russia be cut, according to the State Department. 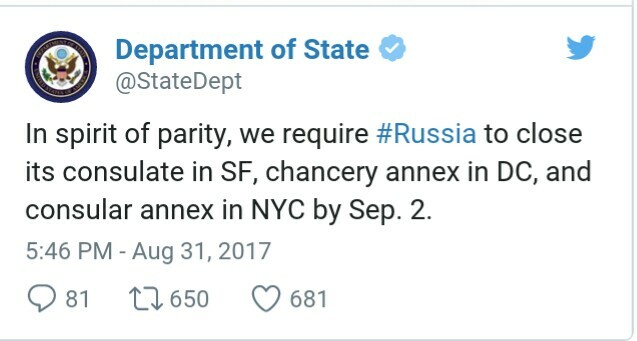 The announcement on Thursday also included a demand for a reduction in the Russian diplomatic presence in Washington and New York by Saturday with the closure of a chancery annex in Washington and consular annex in New York. Last month, Russia ordered the US to cut its diplomatic and technical staff in Russia by more than half, to 455 people, after Congress overwhelmingly approved new sanctions against Russia. 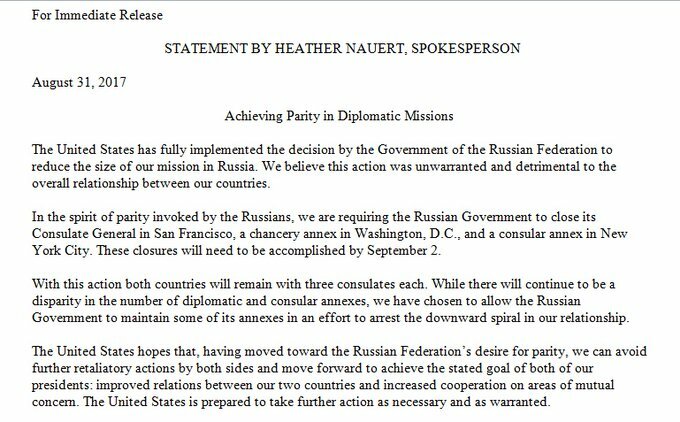 "We believe this action was unwarranted and detrimental to the overall relationship between our countries," State Department spokeswoman Heather Nauert said in a statement on Thursday. 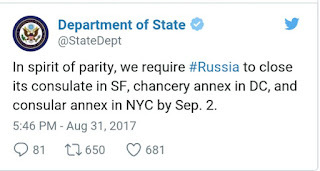 "In the spirit of parity invoked by the Russians, we are requiring the Russian Government to close its Consulate General in San Francisco, a chancery annex in Washington, DC, and a consular annex in New York City," Nauert said. "These closures will need to be accomplished by September 2."